This is my ninth online income report to share! This report only includes income I received from the month of November. I don’t include any money that is pending. If the money isn’t in my bank account, it doesn’t make it in this report. 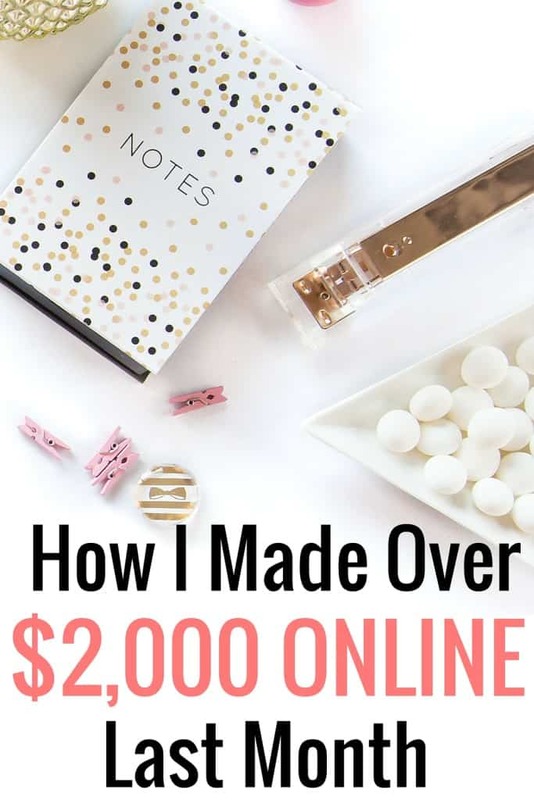 This is the best way for me to track how much money I am making on a monthly basis. November was my first full month freelancing full time. I quit my job in early October, packed my bags and moved across the country to be closer to friends and family. It's the best decision I've made and I couldn't be happier. To recap, I started this blog at the end of last year. I didn't get serious about my blog until January of 2015 and made the smart decision to stop treating this blog like a hobby and turn it into a business. One of the biggest things I've learned is you don't have to have a lot of traffic to earn income. The first way I started earning online income was with affiliate income. I only had a couple thousand page views a month but was still able to bring in a profit! I also don't include any money I earn from mystery shopping, panel studies, surveys, etc. I'm not sure how to track all these things together and I don't know if I want to combine them anyways. What do you think I should do? I also received a hefty deposit back from my old apartment and sold a couple things on Ebay. I'm sort of keeping real life different from online life as of now when it comes to tracking income. I'm pretty happy with my outcome for November. I also have a few things I started on in November that won't pay out until later. I've started trying to plan ahead and figure out where I want to be with my blog in the upcoming months, which is a tough task! There's so much I want to do and accomplish, especially since I decided to take The Frugal Millionaire's challenge. It took almost a YEAR to earn my first paycheck from Google Adsense and Media. Once you hit the $100 threshold, you get paid the last week of the following month. I just missed the $100 threshold for both companies for October, so my next payment from Google and Media will be for October and November earnings. I love that I am starting to earn more each month! Can you still make money without ads on your homepage? That was one of the questions I was asking myself when I made the decision to make my homepage look more professional and brand like. I eliminated around 95% of my ads and was curious what would happen when I made the switch. Well, I think my ads got confused because I made pretty much made nothing for a couple days. Around the same time, I took Alexa's advice from Single Moms Income and hung in there with Media. I was wondering why my Media ads weren't doing as well as my Google. So I emailed my ad manager at Media and asked what could I be doing better. He did some fine tuning with my ads and made sure my blog was really optimized. Well, the proof is in the pudding! My Media ads rocked it last month and took over on the leaderboard for the first time ever. So the good news is – you don't have to have a ton of ads on your homepage to still make money! Am I the only one who has thought about this or is this common knowledge? As I mentioned last month, October was way above normal for freelance income. I expect my freelance income to go back down in November and it did. I made over $1,900 from freelance work, which isn't bad for only working three weeks in November. I took a week vacation for the holidays and did almost zero work during that time. My career niche tends to slow down as well the last two months of the year, so I went into the month knowing work would be a little slower. One new feature I've added to my Hire Me page is 30 minute phone consultations. I've realized it's much easier to communicate back and forth with a phone call than emailing back and forth. This not only helps me save time during the day, but a client can pick my brain, ask me a million questions and get the information they need in one sitting. The sooner I can pass the information to the client, the sooner he or she can get to work! 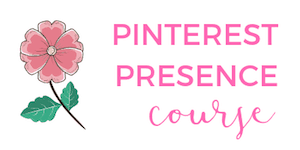 If you need help working on your blog images or have no idea how to utilize Pinterest, email me and let's arrange a chat session! I am also providing consulting services related to my career niche. Prior to leaving my full time job, I found a freelance, online job through a job board. I have been in the same field for 10+ years, so there's no plans to walk away from that part of my life completely. It isn't related to this blog at all and I like having income from two totally different sources. This month I only worked with 1 client and was ok with that. $110 website help – I had a nervous breakdown panic attack anxiety about switching from my old theme to new theme, but Greyson from iMark Interactive took over and got everything done for me. He was highly recommended by several other personal finance bloggers, so I knew I was in good hands. $20 VA work from Fiverr. I've been using the same person to help with me small tasks and he's been quick when it comes to turnaround time. I can't afford to hire someone on a regular basis (yet), but my Fiverr guy has been there when I need him. He saves me about 30 minutes of time and is affordable. If you want to try your first Fiverr task for free, here's a $5 credit. $65 Coaching session. 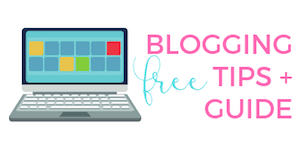 Carrie from Careful Cents has helped my blog and business grow so much, it's crazy. I rely on her brain and wits 1-2x a month and don't know what I'd do without her. Tailwind – this is my favorite Pinterest scheduler I use for pinning my content and other blogger's content. Bluehost – I'm renewed for the next three years! If you are thinking about starting a blog, Bluehost is the best for hosting and purchasing a domain. If you are new to blogging or are thinking about giving up, keep going! I started the year at pretty much zero and am hoping to end the year with 60,000 page views, which would be awesome. I'm not sure if this will happen with the holidays, but I plan on hustling anyways. One of the main questions people email have emailed me about is wanting to know how my traffic has grown. I'm very honest when I tell people it's because of Pinterest. If you want to grow your traffic, learn more on my Pinterest and Image page. Increase my affiliate income. I always forget about this and do very little to promote the companies and services I use. I should try harder on this! Pitch more. It's such a struggle for me to bring attention and advertise myself to other people. I'm in the final stages of finishing up my ebook/guide I'm going to release in January. It's a ton of information and links about mystery shopping, panel studies and more. 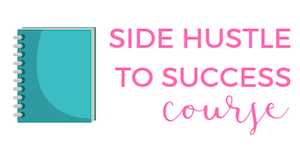 In 2014 I made more than $4,500 in side hustles. In 2015 I made more than $2,000 from mystery shopping and panel studies, so I'm excited to offer this! You can learn more here and get in on the action. Well, if you have read up to this point, thanks for reading all this. It's a lot of nerdy and technical information that I find myself really getting into lately, and it's nice to be able to go back and track my stats. Ok December, let's end this year strong! Great month Kristie! I just found your blog a couple of weeks ago and I quite like it. The way you make income is so cool. $2,000 is quite a lot but I’m sure next month you will make even more. By the way, I’ve included you on my Monthly income list for favourite bloggers! Thanks for stopping by Francisco! Thx for including me, that’s so nice!